Egypt's parliament, packed with loyalists of coup leader-turned-President Abdel Fattah el-Sissi, voted Tuesday in favor of constitutional changes that will keep the former military chief in power until 2030. The proposed amendments were initially introduced in February by a parliamentary bloc supportive of Sissi and updated this week after several rounds of debates. They include changing Article 140 of the constitution to allow the president to extend his current four-year term, which ends in 2022, by two years. The changes will permit Sissi to stand for another six-year term and potentially remain president until 2030. State-run Al-Ahram news website said several lawmakers carried Egyptian flags as they gathered for the vote inside the parliament while nationalistic songs played in the background. Sissi led the army's overthrow of democratically elected president Mohammed Morsi in 2013 following mass protests against the leader's rule. But MP Mohamed Abu-Hamed, who pushed for the constitutional amendments to keep Sissi in power, is adamant the changes are needed to allow him to complete political and economic reforms. He hailed Sissi as a president who "took important political, economic and security measures... (and) must continue with his reforms," in the face of the unrest gripping neighboring countries. Keeping Sissi in power, he added, reflected "the will of the people." He could not specify to AFP an exact time on Tuesday when the vote would be tallied, saying "debates are still ongoing." Since Sissi overthrew Morsi, Egypt has drawn heavy international criticism for its sweeping crackdown on dissent. If passed, "these amendments would take us back to a dictatorship fit for the Middle Ages," Waked told a news conference by rights groups in Geneva. His fellow actor criticized Sissi's narrative that his rule brought stability. "Where is there stability in a country that jails children... that treats people badly or that kills?" he said. 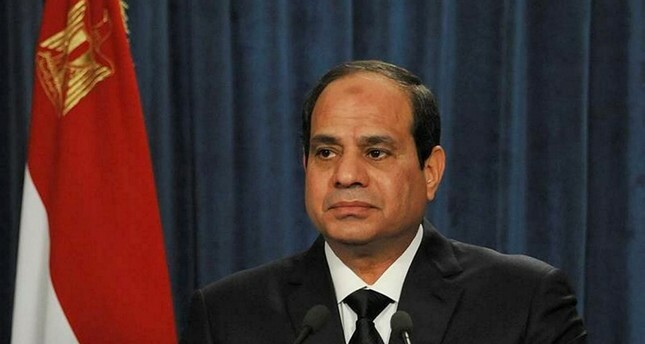 Human Rights Watch has said the amendments, which would also grant Sissi control over the judiciary, would "institutionalize authoritarianism." As Sissi visited Washington for talks with President Donald Trump, HRW urged Congress to withhold endorsement of his bid to extend his rule. Amnesty International has warned the constitutional amendments "would worsen the devastating human rights crisis Egyptians are already facing." "They would grant President Abdel Fattah al-Sissi and security forces free rein to further abuse their powers and suppress peaceful dissent for years to come," said Amnesty's Magdalena Mughrabi. Rights groups and opposition parties say the government has intensified its crackdown on dissent with a wave of arrests ahead of the vote.